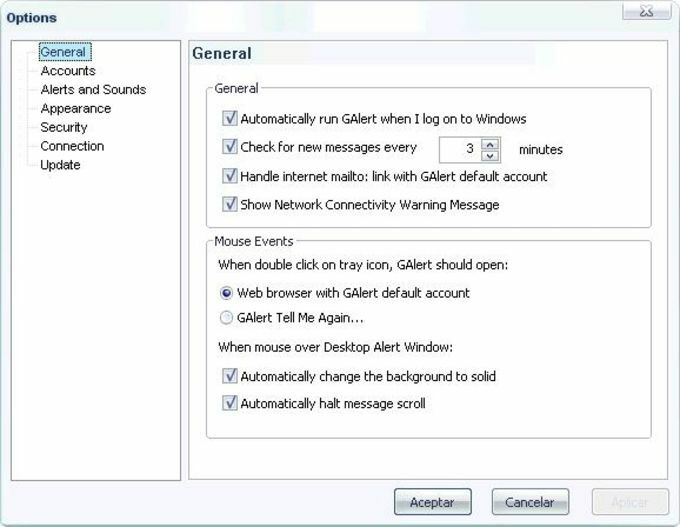 GAlert is a good, trial version Windows program, that is part of the category Communication software with subcategory Other email tools (more specifically Notifiers). Since we added this software to our catalog in 2005, it has achieved 10,251 installations, and last week it had 22 installations. GAlert is a software that will require less storage space than the average program in the section Communication software. It's a very popular program in countries such as India, Nigeria, and Belgium. The current version of the software is 2.5.5.2 and it has been updated on 4/25/2006. It's available for users with the operating system Windows 98 and former versions, and it is available in English, French, and Chinesesimp. GAlert (GMail Alert) is an easy to use and high performance GMail notifier supports multiple GMail accounts and automatic login. It brings clean, easy and elegant look to the way people check their new email. What do you think about GAlert? Do you recommend it? Why?